Wash, dry, sort, fold. Repeat. Over and over again. Doing the laundry is never a fun job, but it’s made even worse when you consider the fact that it has to be done regularly…very regularly in some cases, to even resemble keeping up with the chore. If you are looking for a way to get your laundry deluge under control, here are some tips. * A load a day. Would it help you if you knew that the only thing you needed to do was to wash one load of clothes in a day? If that’s the case, why not? The truth is that many famous people kept their work under control by limiting what they needed to do to small quantities. Authors Jack London and Ernest Hemingway each had a personal goal of only 1,000 words written per day. That’s a modest output, to be sure, but look what they accomplished with it. * A person a day. Whether you have a significant number of people to wash for or not, trying to keep an entire brood in clean clothes is another difficult task. Why not resolve to clean clothes for only one person each day? When the laundry is done for that person, the laundry work is done for the day. * A blowout laundry day. How much laundry can you accomplish in a day? Why not find out? Schedule a day for yourself to make sure that all of your laundry gets done on that day. Further, promise yourself a reward if you accomplish your goal. Even better, why not schedule a special “Me Day,” when all of the laundry is done? Go to the spa. Get your nails done. See a movie. Do anything to reward yourself. * One section per day. One of the difficult things to do on a given wash day is to separate and wash so many different types of clothes. If that’s a problem for you, why not separate your different kinds of clothes and wash them separate on given days. Wash a load of cotton undies one day. Bras on another day. Colors on still another day. There’s an old Zen saying, “Before Zen, chop wood, carry water. After Zen, chop wood, carry water.” That might seem perplexing to some, but the point is to change your mindset about what you are trying to accomplish. Whatever the task is, whether it’s cleaning the laundry, finally losing some weight, working in the yard, or practically anything else, “By the inch, life’s a cinch. By the mile, it takes a while.” Besides, it gives you more time to smell the roses. If going Zen is not for you, then just call The Laundry Center and we’ll pick up and deliver your dirty laundry making your life a little easier and less busy. If you are in college, chances are good that you have taken care of a few preliminary tasks. These include, but are not limited to registering for classes, buying books, selecting and decorating your dorm or apartment. But if you intend to have a social life, minimize your chances of being the brunt of a lot of jokes, not to mention having a lot more confidence in yourself, you will need to have clean laundry. And if you are like most students, your mother is not at home waiting with baited breath for you to bring home your dirties for her to clean. As a result, you will need to either hire a cleaning lady–not usually a viable option–or clean your laundry yourself. By following these few tips, you will never look so good. * Sort. Not all fabrics are the same, neither should they be washed the same. You should separate lights from darks, finer fabrics from those that are more durable. After you have done this, and if you have any doubt, wash everything in cold water. This will prevent a lot of problems involving shrinking, fading, and bleeding of dyes. Using cold water is also easier on the environment. If you have clothes that are heavily soiled or are light colored or white, warm or hot water might be best. * Pretreat. The earlier you treat a stain in your clothes the better. Regardless, you should treat a stain differently than your regular wash. There are many stain removers on the market, but all of them work generally the same. Try to spray or dab the product on the stain before it sets, then wash the item with the rest of your clothes. If the stain doesn’t come out on the first try, wash it again. Don’t put a remaining stain in the dryer, or it might be there forever. * Get ready to tumble. Don’t make the same mistake that a lot of newbs do: just throwing the newly washed clothes in the dryer. This might cause a lot of problems. Instead, close zippers, unbutton clothes, empty pockets and turn them inside out. Anything you want to dry that could be considered “delicate” should be enclosed in a mesh bag. * Add detergent and go. There are a lot of competing detergents to select from. It only takes one trip to a market to learn that. Try to use one that is easy to use and has guidelines that match what you are trying to wash. Try to establish a cycle of cleaning your clothes, and not only when you run out of clean ones. This ensure that the task won’t be monotonous, and it might even give you time to study. There is an easier way to do your laundry. If you are in the NYC area, use The Laundry Center to pickup and deliver your laundry with absolutely zero hassle. Schedule a pickup now. If this is your first time doing your laundry, i applaud you. Rule #1 is do not forget your cat in the washing machine. Let’s run you through the step by step process of doing laundry and more importantly how to do it properly. 1. Gather all your dirty laundry. 2. Separate the whites from the colored clothes. When you have color-fast clothes in your laundry, it can stain your whites and you end up having to go shopping again. 3. After separating the whites and the colors, you need to look at the label on your clothes. There is a bunch of symbols and words that don’t always make sense to laundry newbies. These are the care instructions which must be followed. There are clothes which cannot be washed in hot water while others can only be washed in cold. There are also those that need to be dry-cleaned (no water). Pay attention to this label to protect your clothes from stretching or shrinking. 4. Check if you have any intense stains and take care of them (ink, gum, blood, oil, sauce, you name it – sort that out first). 5. Laundry machines these days are pretty user friendly. Read the manual if you have time or simply look at the buttons and what they say. 6. Place your clothes, one pile at a time, into the machine. 7. 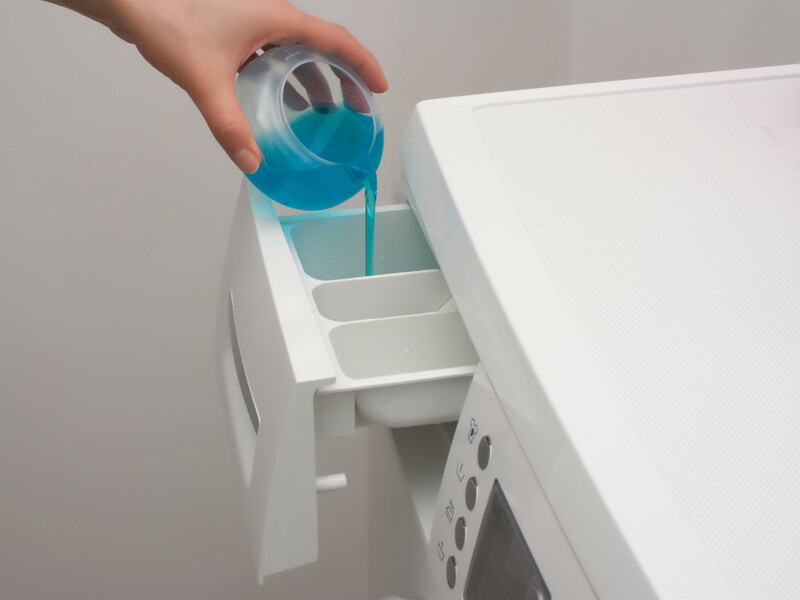 Add a capful or capsule of detergent into the machine. 8. Turn on the machine to the desired setting. 9. The machine will fill up and start its magic. 10. The machine begins on wash’ and then spin’ to get rid of excess water. 11. Remove the clothes and put them in a dryer if available. If this is not available, you can hang them on the clothing line. 12. Once dry, you can iron based, once again, on the care label (some clothes are not meant to be ironed). 13. Fold and place in your drawer or closet or hang on the clothes hangers. 14. Take a step back and hi-five or hug yourself for a job well done. A point to remember is that you need to clean out the lint collector from time to time to avoid the clothes from getting lint on them. In addition, do a thorough check of the machine after use because mum can tell you that it has a habit of eating’ socks. That is how you do your laundry – class dismissed. If you’re not “feeling” the whole laundry thing, i understand. Why not have The Laundry Center pickup your laundry and wash it for you? If you live in NYC you can schedule your next laundry pickup online now. Removing gum from your laundry could be strenuous, especially if you are not following right methods. Just scraping the gum with a knife may spread it more and make the clothes unfit for use. If you encounter such a problem, here are a few methods to remove the gum in a way so that they do not create any havoc. Chewing gums can easily be removed using a hot treatment to the affected area. Take boiling hot water and place the cloth in it. Let it soak for some time. Soon the gum will soften and come out easily when scraped with a sharp knife. You may also iron the reverse side of the cloth in which the gum is trapped. Place the gum down on a cardboard and iron the back of the fabric with medium heat. Let the gum slowly transfer to the cardboard, leaving the cloth clean. It is another effective way to scrape off the gum. Place the laundry in a plastic bag and put it in your freezer. Let it stand for some time. The gum will harden and easily come out with the help of a knife. You may also rub ice cubes on both the sides of the cloth and freeze the gum before scrapping it off. Household cleaning agents like vinegar, alcohol and even gasoline can be rubbed on the affected area to remove the gum. Take a small amount of cleaning agent in a bowl and dilute it with some water. Apply it over the gum using a toothbrush. Leave it for some time and scrap it off with a sharp knife. The alcohol will also help in removing the stain of the gum, but make sure you do not use too much chemical on your clothes as it may fade any bright colors. Peanut butter is used to dissolve the gum gently and loosen it for an easy removal. Apply a small amount of peanut butter on the gum so that it covers it entirely. Let it sit for one minute and start scrapping it off with a knife starting from the edges. Always ensure that you do not apply the peanut butter on other parts of the clothes and never let the butter sit on the laundry for more than a minute. It may cause stains that are even harder to remove. The best way to remove gum from your laundry is to get the job done by a professional, especially if you stay in NYC (New York City). It will reduce the risk of staining or fading of clothes, which is common if the above do-it-yourself methods are not followed in the right way. If your fabric is sensitive, it may get damaged by using hot treatments, freezing as well as chemical treatments. If you are not sure whether you are able to get it done at home, consider calling a laundry pick up service in NYC for an easy and effective gum removal. Laundry is a task most of us do everyday without thinking. However, there are simple ways to enhance the process of this cleaning chore in order to ensure that your clothes come out cleaner than ever before. Most people want to get their laundry done as soon as possible with minimal effort, so they resort to shoving eight weeks of dirty clothes into one load of laundry. Unfortunately, a single washing machine cannot effectively clean fifty pounds of stained shirts and jeans at one time. 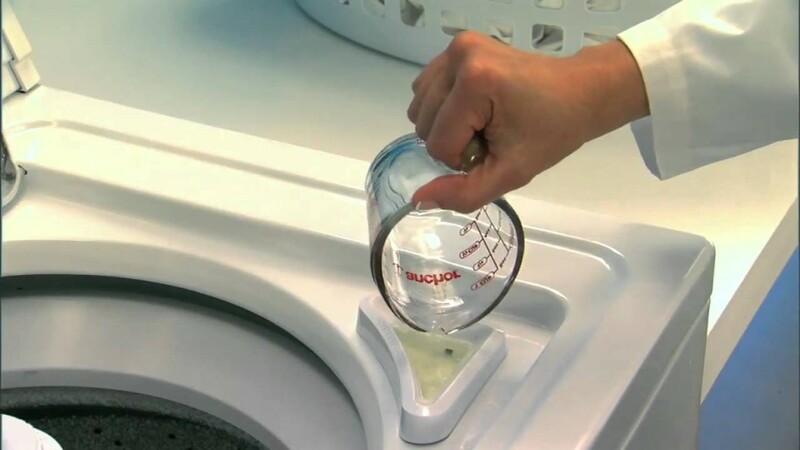 To give your washing machine enough time and room to clean your clothes thoroughly, cap out a load once you’ve filled up approximately two-thirds to three-quarters of the room in your washer. While many of us are under the impression that hot water cleans more efficiently, consistently washing your clothes in cool or cold water can actually prolong their life and make them appear fresher and cleaner for a longer period of time. Hot water takes a lot of energy so, by setting your washing machine to wash with cold water, it can use up its energy cleaning your clothes more thoroughly instead of using it to heat the water. Plus, washing your clothes in hot water causes the different dyes to bleed, giving your favorite fabrics a muddy look. If you wait a day, or even a few hours, to spray your preferred stain remover on that pesky tomato or ink stain on your favorite shirt, it may already have soaked into the fabric too deep to ever come out. The next time you spill something on your clothes, treat the spot immediately with stain remover to prevent the spill from soaking in, even if you aren’t going to wash the item for a while. Even though the purpose of your washing machine is to clean, the machine itself needs to be cleaned every so often. To ensure that it continues to run efficiently, go over the inside of your washing machine with a vacuum or a damp cloth every few months to eliminate accumulated dirt and soap residue. When you’re preparing to start a load of laundry, it’s best to turn the water on for a few seconds, add soap, and then dump in your dirty clothes. Adding soap and water before the clothes allows prevents the soap from distributing unevenly among your clothes when your pour it in and allows the soap and water to form a cleaning solution that will more effectively clean your clothes. Sometimes, the easiest, most effective way to achieve cleaner clothes is to hire someone else to do your laundry for you. 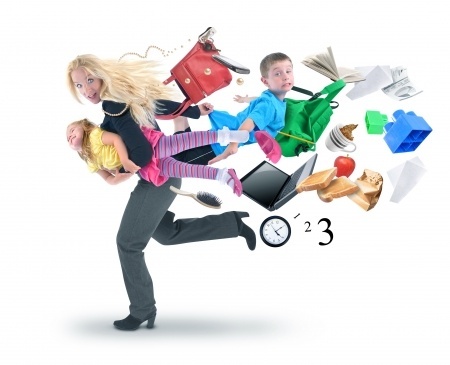 If the cleaning chore seems a bit too overwhelming, you can hop on your computer today to schedule a quick laundry pick-up online. Someone else will pick up your dirty laundry and deliver it back to you, washed correctly and cleaner than ever before. many years. And thankfully, it does not have to be that difficult if you keep a few important things in mind. Here are several top laundry tips you can follow. instructions on among others the right washer setting and cleaning products. Some, for instance, must be washed in cold while others should be washed inside out in order to prolong their lifespan. Make sure to follow the instructions. certain, you should consider enlisting the services of a specialist who is very familiar with such cleaning techniques. permanently embedded and go deep into the fabrics. Inorganic stains such as dirt can be easily treated with warm water. consider drying them on clothes-racks and then iron them when slightly damp. If you have to use the dryer, make sure to employ the warm setting. However, if you’re not sure on how to properly wash them, you should leave the job to an expert. Schedule a laundry pickup today and we will do the rest. Bold hues give off a happy feeling, which is probably why most people like a pop of color in their clothes. Preventing the color from fading could be such a big problem, however. The more these garments are washed, the more they fade. Washed out garments can be such a pain in the eyes. To avoid looking drab and dowdy, here are some basic tips in color care that must be kept in mind. You can get more instructions from The Laundry Center website. Before diving into the actual washing process, sort out clothes into brights and pastels. Keep those with the same hues together. This will prevent the colors from bleeding into the paler fabrics. Make the clothes’ vibrancy last by using detergents that prevent color loss and fading. There is a large selection of specially formulated cleaners in the market. Opting for the shortest cycle and lowest heat setting in your washing machine also helps. Check the care labels of your clothing in order to know which to use for different garments. Cold water is more appropriate for washing colored fabrics. 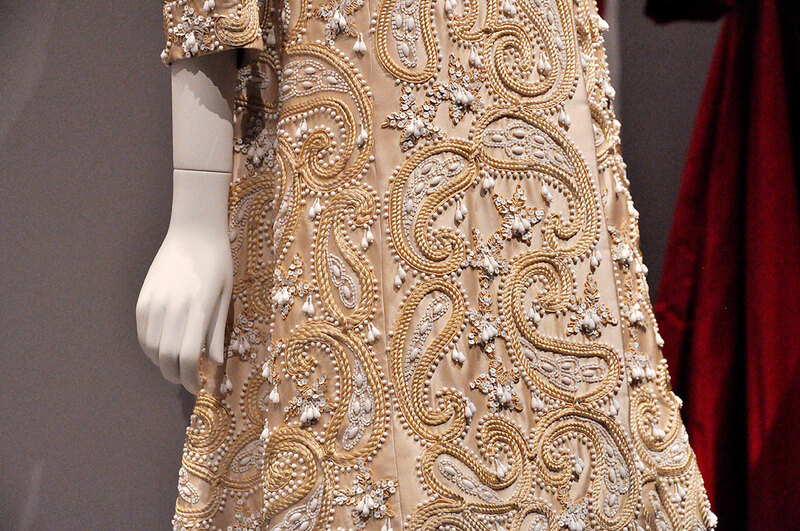 It is less likely to fade colors and do less damage to delicate garments. Most color care detergents also work best in cold temperature. You can pre-treat colored clothes for tough stains. A little detergent or stain remover will do. Make sure to rub it into the fabric and allow it to work for several minutes. Wash the garment as you normally do after pre-treating. Most damages on clothes come from washing. Fabrics rub together and create unsightly fuzz balls. To prevent wear and tear, turn the garment inside out. This will prevent them from pilling. This is particularly bad for bright colors. Overdrying can cause clothes to lose their vibrancy. Make sure that the garments are still slightly damp when pulled from the dryer. One practical tip in color care is to add a cup of vinegar to your washing machine. It helps prevent colors from fading, with the added bonus of being a natural fabric softener. Do not worry about the smell. It goes away in the wash.
1. Excessive rubbing on stains will make them worse. Instead of rubbing, dab on the stain gently so it would not spread. Too much friction can damage the fabric. Treat the stain as early as possible with an effective cleanser. The longer it stays on the garment, the more difficult it will be to remove it. 2. Limit the use of bleach. There are natural stain removers out there that are not too strong to cause damage to your clothes. If you really have to remove the toughest stains, research on the best ways to approach the problem. 3. Too much detergent is bad. Surplus suds can hold dirt which usually get caught under the collar and other problematic areas. Add only half the amount of detergent you usually need. If the clothes are not as clean as you want them to be, add more soap. 4. An overloaded washing machine will result in a sloppy wash job. Clothes need to float in the washer to get properly cleaned. This will also prevent them from wrinkling. Packing in garments also put pressure to the appliance’s shock absorbers, which causes premature wear down. 5. Unbutton shirts before washing. Not doing so stresses the buttonholes. Before you know it, you will have major poppage problems. 6. Unchecked zippers snag delicate fabrics. Close them all the way to the top. Their metal teeth can cause much damage to clothes in the same load. 7. Save energy by running back-to-back loads in your dryer. Use the retained heat from the previous cycle in the new load. 8. Save yourself from the fruitless search. Toss those socks first in the washer. This will prevent them from attaching to other garments and getting lost in the process. 9. Do a thorough cleaning of the dryer once a year. Even though you regularly empty the filter, lint buildup can still occur over time. If you can spare the time, detach the hose from the back of the dryer and manually push the lint out using a long brush. 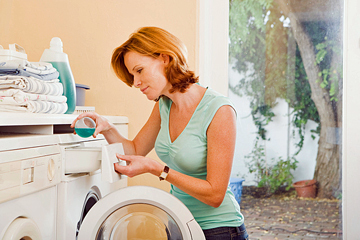 Seven percent of a household’s energy bill is accounted for by laundry alone. That is just for the average washing machine. The cost can balloon depending on the size of family per household – the more clothes to wash, the bigger the energy cost. Doing the laundry requires a significant amount of energy, and if people are not careful, it will take a huge toll on their monthly utility bills. 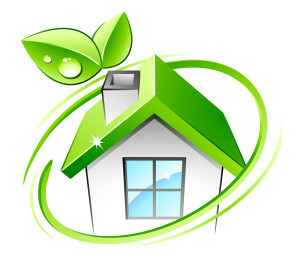 That is why more and more are looking for energy saving tips and approaches to washing and drying clothes. 1. Avoid repeated washing due to stubborn stains on clothes. Soak and pre-treat the soiled items first using a stain removal treatment. 2. Use cold water in doing the laundry. Many detergents nowadays clean best in this temperature. Use only warm water for very dirty clothes. 3. Always have a full load in your washing machine. Washing a small load takes more or less the same amount of energy as it does a full one. You will not only save energy, but also water. 4. Do not, however, overload the washer and dryer. The machine will have a hard time cleaning the clothes. 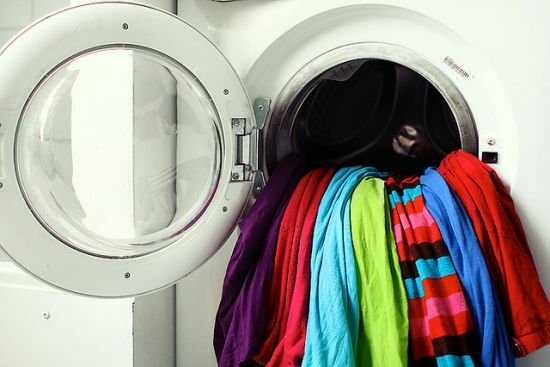 Overloaded dryers also use more energy as more items take longer to dry. 5. Do not add wet garments part way through a drying cycle. Let the cycle finish first. Next time, wait for your load to finish so you can dry them all together. 6. Use the energy saving settings in the machine. Some loads only need ten minutes of washing. Also, choose the high spin option to cut down on drying time. 7. Take advantage of the good weather and air-dry clothes. This will save you five percent energy in the bill. Pick clothes that dry quicker, hang them outside and let the sun do the work. 8. Consider how many times you do the laundry. Observe the way your family accumulates dirty clothes and schedule your laundry days accordingly. If you find yourself having to wash your clothes more often because you do not have enough clothes in your closet, perhaps it’s time to invest in a few more pieces. 9. If your washing machine is over ten years old, consider buying a new one. Old appliances have the tendency to take up energy, making the bill unnecessarily high. There are a lot of energy-efficient models in the market. Choose the one that will work most for you. Stains in clothes can be very frustrating. No matter how many times they are scrubbed or bleached, they just would not go away. For some who do not want to be bothered, the only option is to throw away the ruined garment. Consider some of these helpful tips before resorting to the ultimate surrender, however. There is no need to chuck those stained clothes after all when you have the tips from The Laundry Center website up your sleeves. The toughest of stains call for the toughest laundry action. 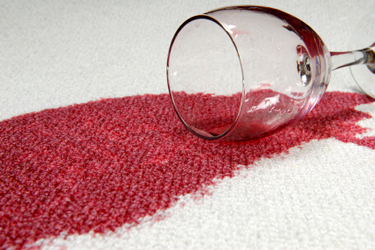 Knowing the secret of stain removal will make your ordeal easier. The sooner you soak the garment in the solution, the better your chances of eliminating the stain. Enzyme detergents are great in lifting out the stains. Just make sure to test them first in a small area before using to avoid damage in the clothes. Rub the cleaning product directly on the stain marks. An old toothbrush may also be used to better incorporate the stain remover into the fabric. Afterwards, apply diluted white vinegar. It is sure to remove any remaining traces. Place the garment in the freezer or put some ice cubes directly where the offending gum is. When it hardens, it will be easier to remove. Put cornstarch or baking soda directly on the oil stain. Let it sit for a while, then brush it off. Do not rub. Wash the garment using the hottest water temperature recommended by the care label. Squirt hairspray on the ink stain. Let it saturate the spot and soak for several seconds. Blot the stain with a clean cloth. Repeat the process until all the ink traces are removed. Then wash with detergent. Soak the stained garment in cold water for 30 minutes. Put a drop of detergent on the stain and rub thoroughly. Rinse with warm water. A solution of vinegar and water may also be applied on the stained area, let it sit for then minutes, then rinse. Put salt on the stained area as quickly as possible. It will be tougher to remove once the wine dries. The salt will absorb the wine, making it pink in color. Dab on the stain, first using a dry towel, then a damp one. Club soda may also be used as a quick treatment. If you live in the NYC area, make your life a little easier and schedule your next free laundry pickup with The Laundry Center. First order is 50% Off with code BUBBLES50 and your second order is Free!